Raza H. Tehsin has served in an honorary capacity as the Wildlife Warden of Udaipur for 33 years. He has penned many books and research articles. But "Steed of the Jungle God" stands apart as a beacon to conservationists around the world. While Raza's early hunting expeditions with his father and brother taught him animal behaviour, the insights gained as he matured transformed him into a hands on conservationist and rationalist in later years. "when tigers and panthers roamed the hills and valleys of Udaipur, Rajasthan"
"When River otters decamped with fish catches of fishermaen"
"When the great horned owll, with its amazing mimicry skills, fooled many people to believe in ghosts". Raza's acknowledgement of tribal knowledge shines through in many tales. I quote from page 75 "I was amazed to see Bhagga's jungle knowledge. I purposely asked him on several occasions about different pugmarks that we stumbled upon and without a moment's hesitation he identified them correctly. Not only this, but he also guessed most accurately as to how old the pugmark was - whether of the same morning, the night before or older than that, in which direction the animal had gone and if it had stayed at a particular place for some time. I found a wet stone on the hard ground and asked Bagga about it. He lifted it, sniffed it and informed that recently a hyena had urinated there. After going a few yards, we came across fresh pugmarks of a hyena." Tale no.20 is titled "Steed of the Jungle God" -Devta Ka Ghoda-by the authors. The title refers to a Giant of a Man who lived and died in the jungle as a "wolf -boy". 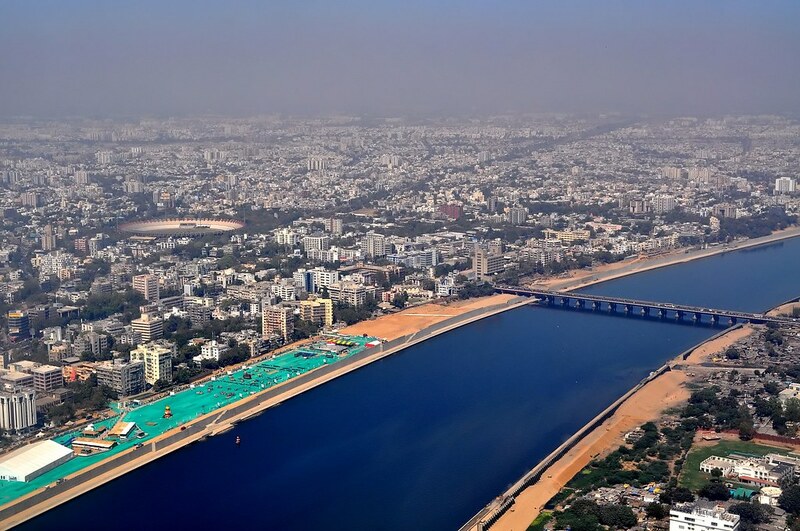 Ahmedabad is the largest city of Gujrat, located on the banks of Sabarmati river. The road journey from Udaipur to Ahmedabad is beautiful with views of natural landscapes. The best way to travel is to take Udaipur to Ahmedabad taxi, which can be easily booked through Udaipurrides.com. If you are planned to travel between Ahmedabad and Udaipur, then Udaipur Rides taxi service is the best option. The distance between Ahmedabad to Udaipur is 262 km, and it takes 4.30-5.00 hours drive. You can easily book any type of car for your Udaipur to Ahmedabad trip depending on your requirement. You can book taxi with Udaipur Rides 24/7 without any hassle with our easy-to-use booking interface. Book Udaipur to Ahmedabad Taxi Now. Festooned with an abundance of scintillating lakes and picturesque landscape, Udaipur City of Rajasthan is on the bucket list of many travelers around the world for all the right reasons. Located amidst the rugged range of Aravallis, Udaipur offers an idyllic hideaway to the tourists away from the buzz and flux of the cities into the tranquility of the scintillating water bodies and awe-inspiring forts and palaces. Making its space in one of the most visited local sightseeing points in Udaipur is the Badi Lake, also known as Jiyan Sagar. Read Full article here: Badi Lake Udaipur. Or book Udaipur Drashan Taxi Now. In the quest of getting best time? Or searching for the best country or place to visit in the vacation? India, the land of mysteries, could be the best choice. It has all the things which are needed to give for a traveler or tourist. From the snowcapped mountains to the lavishing green shores, it put tourists into a maze (full of surprises). Also the monuments of India, more likely to Taj Mahal. India has the monuments which are not only beautiful, they are designated with UNESCO World Heritage sites. And the utmost number of Heritage sites are present in Agra, Taj Mahal, Agra Fort, and Fatehpur Sikri. Interestingly, in exploring all these places, the same day Taj Mahal tour by car is enough. Yes, only in a day one can explore this whole city and get to interact with its culture. Agra is the city which has its name from the Mughals Regime, even once it was the capital city of India. In that Mughal Era, Agra was the city from where the Emperors of India ruled all over the country. They have built many amazing and mesmerizing buildings or monuments, the art they have used with beautiful architecture is the focus point. The perfect blend of Hindu, Islamic and Persian inlay artwork has remained the thing to consider. The walls or the carvings are the examples of their style of building wonderful structures. 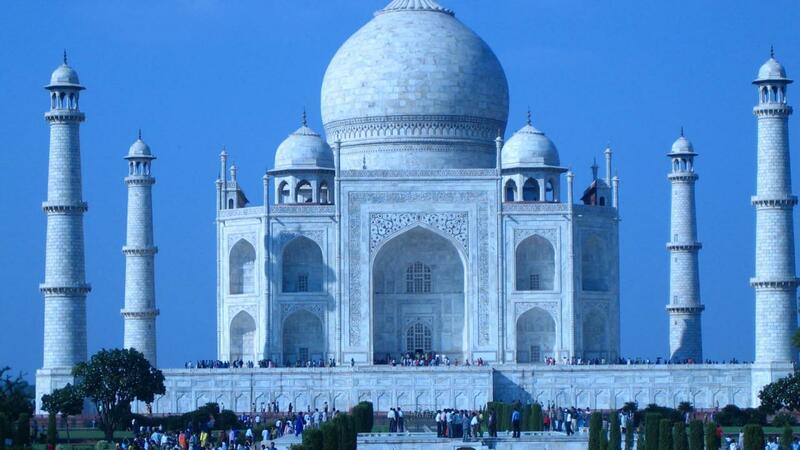 Out of the many, Taj Mahal, situated in Agra, is capable enough to get its name in the list of Seven Wonders of World. And why not it be? It is the place where one can connect with the pure sense of art and peace. Taj Mahal, it has the structure which looks like an illusion. The architecture of this monument is so nicely built that from all the four side it looks like. In building this monument, the finest quality of white marble was used and which was brought from a village of Rajasthan. The marble namely Makrana, in Hindi it is Sangmarmar. Taj Mahal was built by Emperor Shah Jahan in the loving memory of his wife, Mumtaj Mahal. And so, after his name, it called Taj Mahal. This quite-a-much pleasing monument is standing peacefully on the bank of River Yamuna. At the Same Day Taj Mahal Tour , one can able to truly grasp its beauty. Every day thousands of tourist pay homage to this temple of pure love. It is the monument which gets the highest number of tourists every day. Besides the Taj Mahal, Agra has its own fort named as Agra Fort. Agra Fort was once the main residence for the royal members of Mughal Empire. Emperor was used to addressing his followers in the halls of this Fort. This fort also has many palaces, tombs, and gardens, which can take anyone back in those days. After the collapse of Mughal regime, Britishers used this place as the Army Headquarter. Now it serves as the museum, which has the things which belong to the Mughals. Agra city also is known for the best food because the Mughals were very fond of eating toothsome or mouth-watering food. So, the Agra has inherited the property and has some amazing chefs, they cook food very nicely and they serve the taste which a foodie wants. Agra has a lot to share with its lovers and for a traveler who has limited to for it, the same day Agra tour by car is enough. Explore this land of divine history and amazing tradition. This is the city which can give you the time which you are looking for. Just get your sail in the direction of upwind and write down your own story. Jodhpur, also known as Blue city of Rajasthan is 270 km north of Udaipur, Jodhpur is the second Largest city of Rajasthan and a prime visitor goal. It is well known for the great Mehrangarh fortification, blue houses, old sanctuaries, dynamic bazaars, desserts and bites. The tremendous Mehrangarh fortification sits above the city and is a design gem in itself. Jaswant Thada and Umaid Bhawan Palace are likewise included among the famous attractions Jodhpur. Udaipur Rides offer Udaipur to Jodhpur taxi service every day in AC/non-AC Taxi. We facilitates Udaipur to Jodhpur taxi bookings in few easy clicks through its user friendly interface. Once you do Udaipur to Jodhpur taxi booking just sit back and relax and let we take care of your travel in an ideal manner. Car Rental services available for all cab types AC, Non AC, Economical, DZire, Etios, Tavera, Innova, Tempo-Traveller and Minibus at affordable prices. The table below highlights the various vehicle model options available which you can choose for Udaipur to Jodhpur taxi booking. The Mount Abu Wildlife Sanctuary is best amongst the most established parts of the Mount Abu mountain ranges. The Mount Abu Wildlife Sanctuary is home to various visiting centers offering sensational perspectives. Various people visit Udaipur to Mount Abu Wildlife Sanctuary just for the touring and perspectives, yet most visit The Mount Abu Wildlife Sanctuary for the creatures and winged animals. The total distance from Udaipur to Mount Abu Wildlife Sanctuary is around 167 kilometers. The Mount Abu Wildlife century is 7 kilometers long and only 300 meters wide. This implies while you cut the long walk around The Mount Abu Wildlife Sanctuary you won't miss much on either side. You can book an Udaipur to Mount Abu taxi Here. A variety of fauna, including highly uncommon, threatened and endangered species are found in this Wildlife. The historical backdrop of Mount Abu demonstrates the nearness of Asiatic lion (last recorded in 1872) and Bengal tiger (last revealed in 1971). Presently the Indian panther is the apex predator. Different creatures found here are sambar, jungle cat, little Indian civet, Indian wolf, striped hyena, Golden jackal, Indian fox, langur, wild boar, sloth bear, pangolin, mongoose, Indian rabbit, porcupine, and hedgehog. It is extraordinary as in more than 250 types of flying creatures are found here. However, the strength of the Abu haven is the dark jungle fowl. The uncommon Green Avadavat is regularly found here.You can book an Udaipur to Mount Abu taxi Here. Interesting Facts About Chittorgarh Fort You Didn’t Know! Perched up high above on a hilltop, the fort of Chittorgarh is an epitome of Rajputi strength and valor. Echoing off the Rajputi gallant and luxury of the bygone era, the fort is also associated with the infamous Jauhar of Rani Padmini. But apart from this, there are several other fascinating facts that might ignite up the curious traveler in you. Comprising of 65 historic built structures including 4 palaces, 19 significant temples, 4 memorials and several water bodies, the fort of Chittorgarh is the largest fort in India area wise. Located on top of a rock-strewn plateau, it has 305 hectares of a component site, with a buffer zone of 427 hectares. This grand citadel of glory is approximately 2km in length and is 155 m wide. Built in the 7th century AD by the Mauryans, the fort gets its name from the Mauryan ruler, Chitrangda Mori. On popular request, we have designed two expeditions to Dzukou valley. One in June and one in July. These will be a 2-night camping stay at the valley. Expect a mix of clear sunny skies, cloudy weather as well as the odd spell of rain. This package includes overnight camping, all meals and guide. It’s back! Walk Nagaland is back. After a rather long period of silence, we have revived our social walks through the country side of Nagaland. On June 09, 2018, we are walking (most likely in the rain) from Kohima from Khonoma village. An approximate distance of 18 km. This walk is going to be one of the easier ones. Once we reach Khonoma, we have organised a dinner at a local morung where we have organised a short cultural performance as well. If you are interested, click on this link to know more.